Covering civil space, commercial space, space policy, military space, space science, history, future space and other timely topics. Effective immediately Space Quarterly magazine is suspending publication. This includes both the print and digital editions. The current issue of Space Quarterly has been delayed in production but we are anticipating having it ready and released around July 29th. For the past few years, a research team in Antarctica has been drilling through several miles of ice in an effort to reach Lake Vostok. Lake Vostok is the largest of a number of bodies of fresh water trapped deep in the ice and isolated from the rest of Earth's biosphere for millions of years. What forms of life may exist in Lake Vostok are of interest not only to terrestrial ecologists but also astrobiologists given that moons such as Europa, Ganymede, and Enceladus may have water oceans underneath their outer icy surfaces. 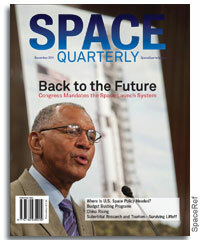 The March 2013 edition of Space Quarterly Magazine is now available. Here are the table of contents for the U.S. and Canadian editions. The December 2012 edition of Space Quarterly Magazine is now available. Here are the table of contents for the U.S. and Canadian editions. The September 2012 edition of Space Quarterly Magazine is now available. Here are the table of contents for the U.S. and Canadian editions. You can now order back issues of either the print or digital editions of Space Quarterly Magazine. Please note that when you buy the print edition you also get the digital edition at no additional cost. Select the issue you want below. If you want more than one issue, simple select one issue and then you'll be able to select more issues from subsequent pages and add them to your cart. 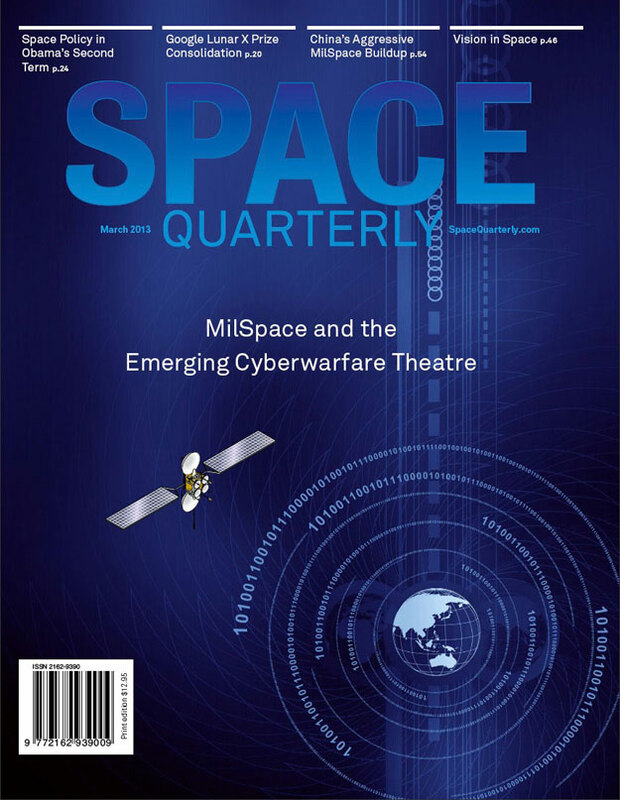 The latest edition of Space Quarterly magazine is available. The U.S. edition focuses primarily on space policy and the Space Launch System with a few budget and commercial pieces in between. 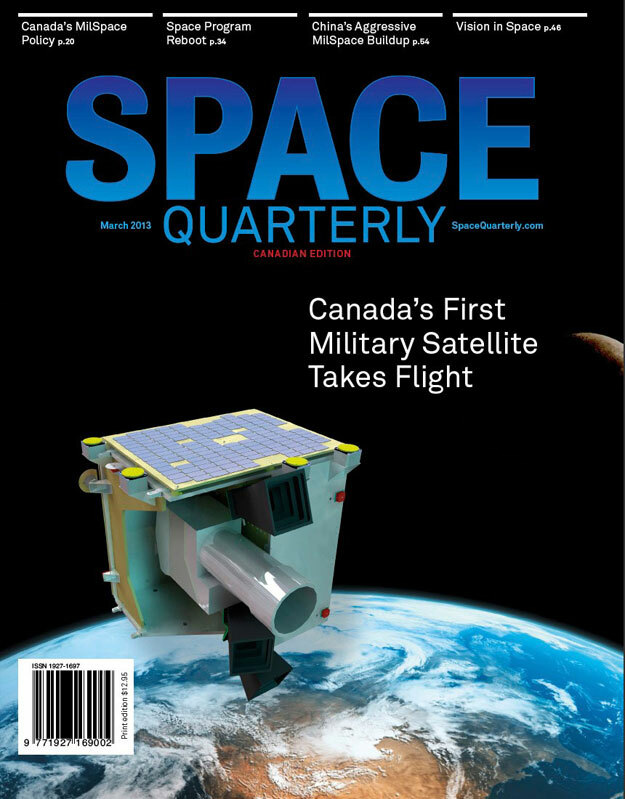 The Canadian edition focuses on space policy along with updates on Canada's rover program, one of Canada's next satellites to be launched, NEOSSat and COM DEV's Automatic Identification System (AIS) satellite constellation. We are very pleased today to release the first issue of Space Quarterly Magazine with both the U.S. and Canadian editions now available. Please use the following form to request a quote for institutional pricing.